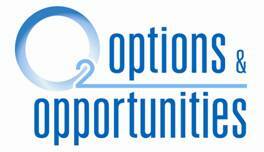 The Options and Opportunities (O2) Program is an academic program that provides students with exposure to career and post secondary options over the course of their three years of high school. Students will receive career education and be given a chance to receive additional training and certificates to help make them more employable. Students are exposed to careers through field trips, job shadows, guest speakers, short term work placements, cooperative education courses and other opportunities.